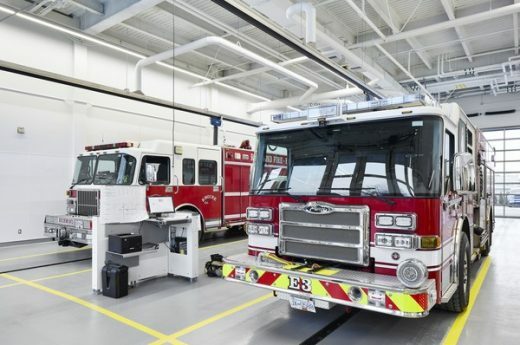 “This $20.7 million investment supports the City’s commitment to public safety and to providing quality first response services for Richmond’s growing community needs. 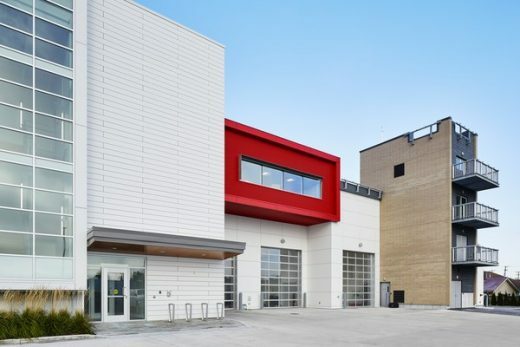 The Leadership in Energy and Environmental Design (LEED) Gold certified facility demonstrates our leadership and commitment to environmental design and sustainability” said Jas Dharampal, project manager at the City of Richmond. 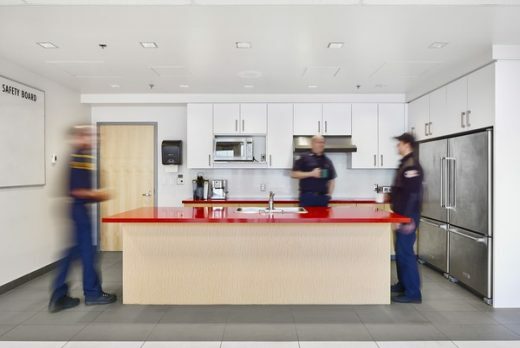 The new facility is built to post-disaster standards and will remain operational following a seismic event to provide community response and to act as a Department Operations Centre (DOC). 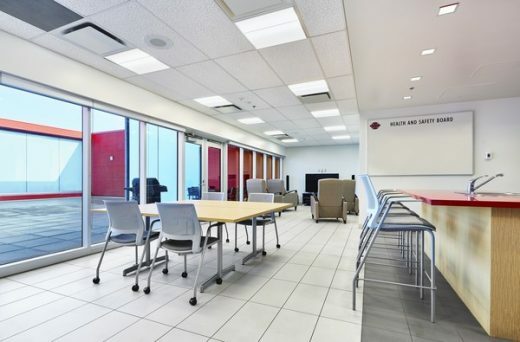 Some of the post-disaster design elements include the building structure, tie-ins for concrete aprons at the front, and an on-site emergency generator. 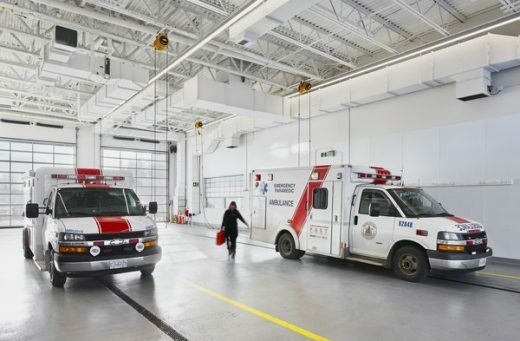 Central to the design was locating both the fire hall and ambulance services station together in a single purpose-built facility with shared common spaces that allow for operational and financial efficiencies while further strengthening the relationship between the two agencies. 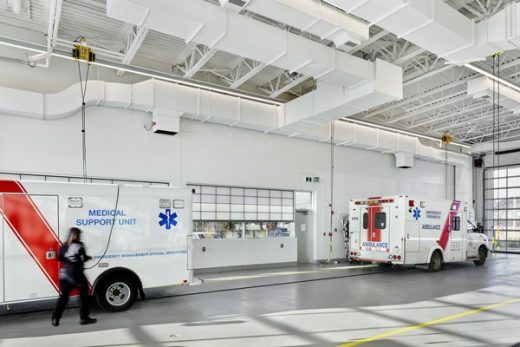 “This modern facility will support the critical role paramedics play in providing patient care to the community and enhance our working relationship with Richmond Fire-Rescue (RFR),” said Linda Lupini, executive vice president of BCEHS (British Columbia Emergency Health Services). 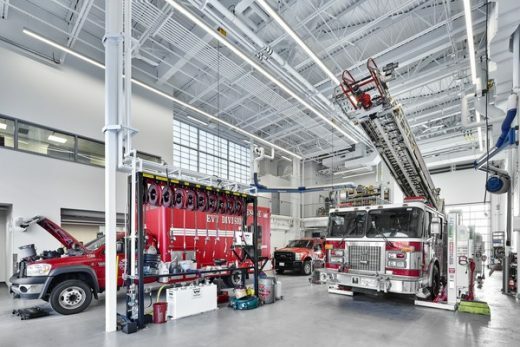 The three-storey facility includes two suppression bays for fire rescue vehicles, two emergency vehicle technician bays for repair of fire apparatus, and two bays for up to six ambulance vehicles. The orientation of the offices, kitchen and dining room around an extensively glazed outdoor patio serves to maximize natural daylighting while providing an efficient flow via a central corridor. 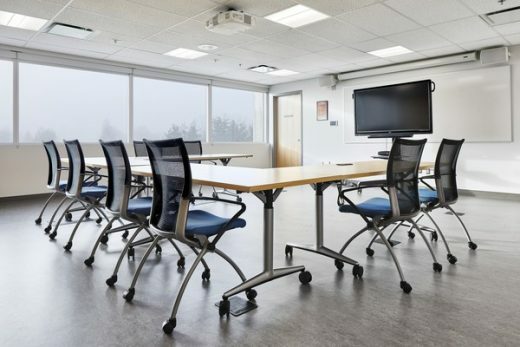 The positioning of the training classrooms to the south-west of the building allows for expansive views of the site training area below and the neighbouring green spaces, furthering exposure to natural light. 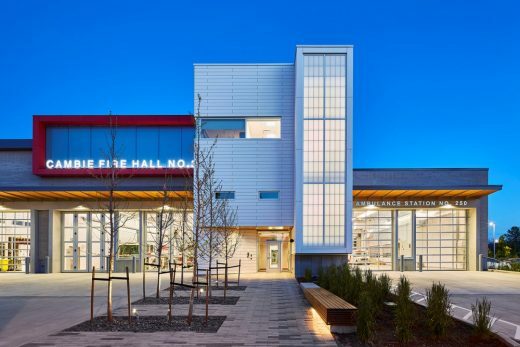 To achieve a strong civic identity for the City of Richmond, the building employs a strong roof form derived as an expression of both protection and as a reference to the cooperation between the RFR and the BCEHS. 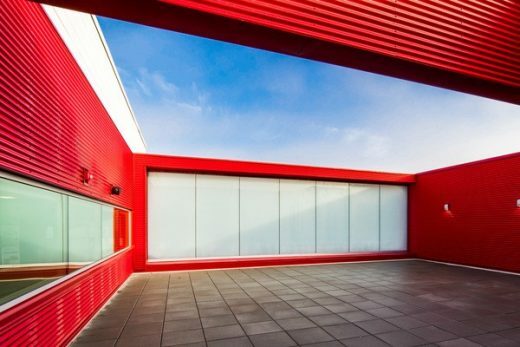 The folding of the roof on both sides of the building reflects this collaboration. 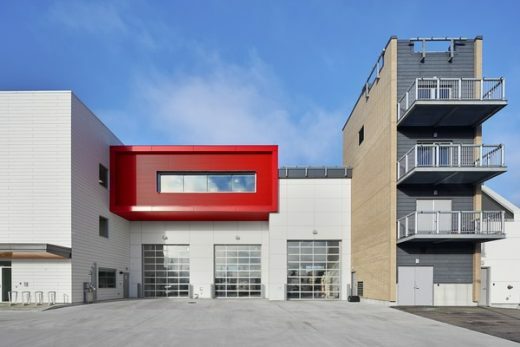 To enliven the façade, the use of red cladding on the upper level punctuates the building while employing a common signifier in fire hall station design. 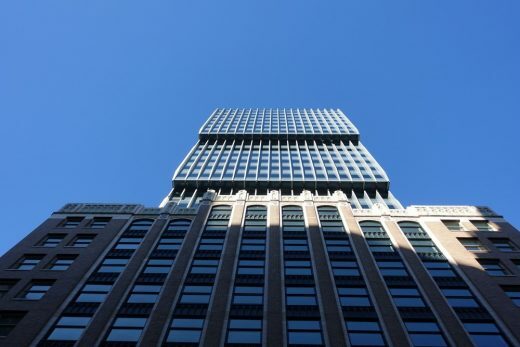 The north stair tower signifies a beacon for the neighborhood. 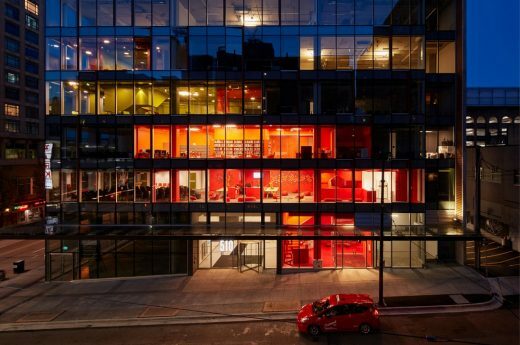 By using a translucent fiberglass panel material, the soft light emanating from the stairwell produces a lantern effect. 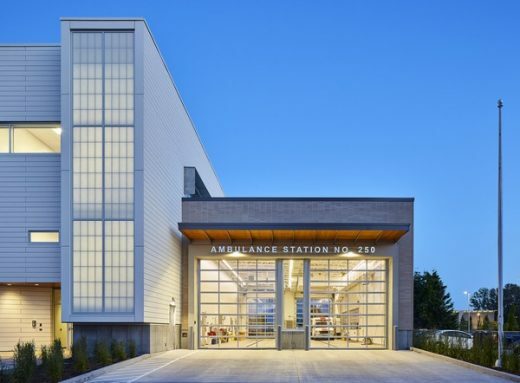 Reinforcing the significance of transparency at the street level, the landscaped public entry and linear positioning of the bays creates an effective civic presence while providing a layout that contributes to help speed response times in an emergency. The design of the new station responds to the site’s residential neighbourhood. “From this notion,” describes Lange, “we looked at the building as an anchor to the local area and residences, as well as a landmark for the larger region.” This approach aligns with the City of Richmond, as a strong proponent of city building that supports contemporary expression and signature buildings to foster a positive civic identity that creates a more attractive and sustainable urban environment. 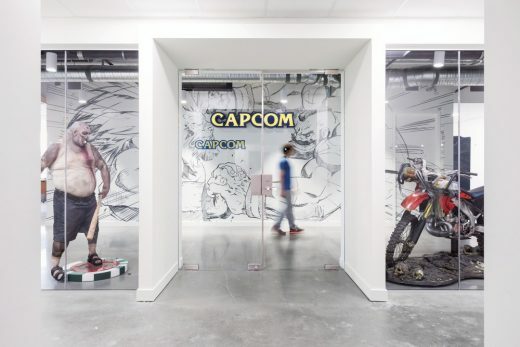 Design: Leckie Studio Architecture + Design Inc.